Head to Redhound Grille for dinner on Thursday, August 3. 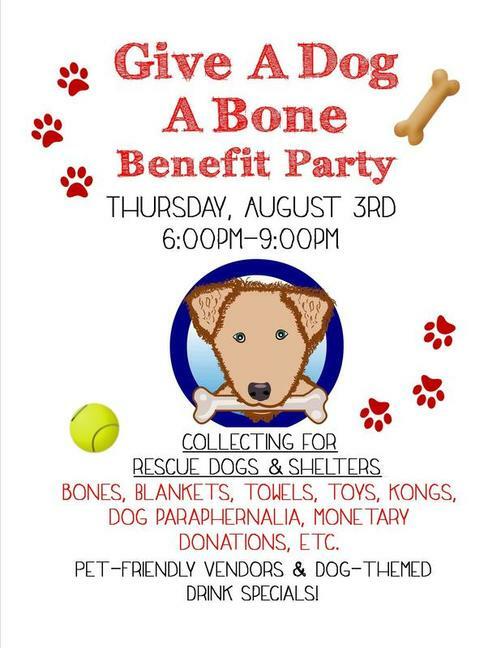 From 6-9 PM, the bar and grill will hold the annual Give a Dog a Bone event. This dinner, organized by Main Line Attorney Randi Vladimer, benefits rescue dogs and shelters. While free to attend, monetary and/or pet supplies donations are welcome. Enjoy dog-themed drink specials, and catch Concord Pet! They’ll be handing out free samples and awarding raffle prizes. If you would like to donate to our cause, but are unable to attend the event, you can participate by dropping off donations at Redhound Grill, which is open every day from 11 AM-9 PM. While furry friends are not allowed inside the restaurant, you can sit in outdoor seating with your pet while weather permits. Direct any questions to Randi Vladimer. We hope to see you at this fun event that supports dogs in need!